Developing good energy-saving habits is essential for many reasons. Not only will it help to lower your utility bills, but it is also vital for the continued health of our planet and people all across the world. Even if improving your home’s overall energy efficiency provides the biggest energy-saving results, the fact is, no amount of high-tech energy-saving appliances and other gadgets will ever do anything to overcome your own bad habits. In this sense, it is vital that everyone begins to teach their children about responsible energy use and the importance of energy savings from a young age. It’s an unfortunate fact, but the United States is far and away the world’s leading country when it comes to wasted energy. Statistics from the Commission on National Energy Efficiency Policy show that an estimated 57 percent of the energy generated in the country is lost due to waste. Of course, much of this has to do with inefficient energy transmission. Transportation is also responsible for a large percentage of the total waste, and the statistics are much the same when it comes to the related emissions each produces. In fact, 2016 was the first year than transportation emissions exceeded those of energy generation. Nonetheless, residential homes still contribute more than their fair share, and this is true in virtually everywhere in the world like it is in the United States. For this reason, it is essential that everyone—including children—does their part to limit energy waste. The total amount of energy used by the average home, and the different ways it is used, have both changed drastically over the past few decades. As the average home has continued to increase in size and use more electronic goods, overall residential energy consumption has significantly increased. In addition, more homes than ever before have dishwashers, air conditioners and various other appliances that use more energy, but there are also smaller everyday items that add up over time, like ceiling fans, humidifiers, microwaves and pumps for pools and hot tubs – though they consume much less than other uses. The US Energy Information Administration (EIA) shows that while homes have gotten more efficient and we’re using less to heat and cool our homes. Of course, cooling and heating numbers depend largely on the type of climate you live in and could potentially be reversed in places that experience extremely hot or cold weather most of the year. However, we’re also using more energy for lighting, electronics and other appliances. The electricity it takes to power your home’s gadgets accounts for a large portion of the total consumption – 54% in fact. Depending on how often you use your appliances, your energy usage can quickly skyrocket depending on your habits, the total number, and type of appliances, and electronics you have plugged in. Although most children aren’t allowed to change the thermostat settings, this doesn’t mean that they can’t still contribute to energy waste. 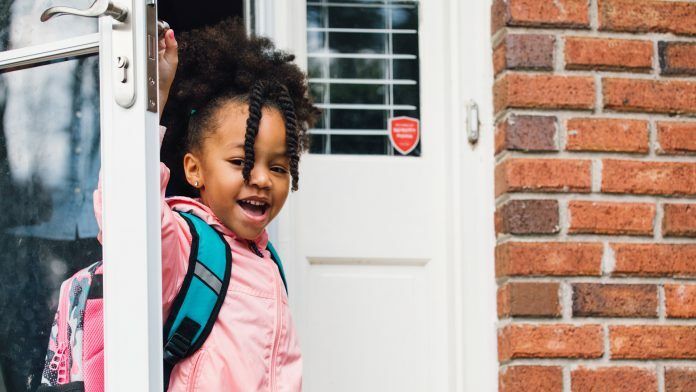 In this case, heat loss and/or heat gain are the biggest culprits, which means teaching your kids the importance of closing the door every time they go in and out of the house—even if only for a few seconds. Similarly, you should try to teach them to always keep their windows closed whenever the furnace or air conditioner is on. Your own habits also make a huge difference, which means adjusting your clothing to your home’s temperature instead of simply putting the heater or air conditioner on full blast whenever you’re too cold or too hot. When it comes to wasted electricity, there are a huge number of small changes that can add up, and it can make a big difference. Obviously, turning the lights off every time you leave the room is important, but you should also consider other less obvious changes like unplugging your electronics and chargers when not in use and never leaving your laptop or phone plugged in if it doesn’t need to be. Ultimately, there are many different things you and your children should get into the habit of doing. Not leaving the water running when you brush your teeth, taking cooler, shorter showers and waiting until you have a full load to do laundry or run the dishwasher all help in contributing to better energy efficiency in your home. It is important to help your kids start to make good energy saving habits early while they live under your roof so you can experience the savings that energy efficiency and conservation can bring – plus, it also helps the planet.